‘Balu’ has incremental innovation as a fore-front of the R&D with constant commitment and interest in the application of the new technologies. The company strives to be a leader in every aspect of its business. The Spirit of Innovation fuels us to aggressively grow our businesses by accessing global markets, to deliver products and services of uncompromising quality, consistent with the ‘Balu’ brand and image. 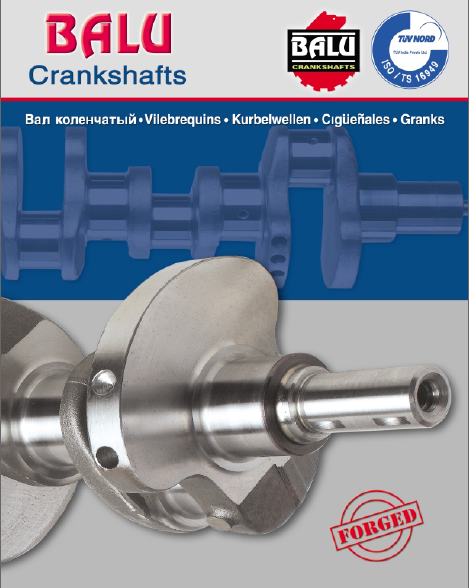 Innovation being at our heart, we continue our endeavour of rising through diversification & manufacturing high quality crankshafts that drive change and sustainability. We are committed to our promise of pushing forward and striving towards greater heights with each passing year & achieving global dominance in the field of crankshaft manufacturing.